Community Food Initiatives will be holding their Annual Meeting at the Unitarian Church in Athens – with keynote speeches from Christine Hughes and Bob O’Neal of The Village Bakery. CFI will also be holding Board Elections at the meeting. Those planning on attending should bring a dish to share for the potluck – drinks and entertainment will be provided. For more information, contact Ronda Clark (cfi@frognet.net) or call their offices (740.593.5971). Co-sponsored workshop with the Appalachian Forest Resource Center and the Ohio Forestry Cooperative aimed at exploring how forest landowner cooperatives are working to promote sustainable, working forests throughout the U.S. Speakers will include Harry Groot from the Blue Ridge Forest Cooperative. Lunch provided – there is a requested donation of $5. For more information, email Susi Rankis (susi@ruralaction.org). Monthly meeting of Huff Run’s environmental education program. This month, the kids will be learning about agriculture and food systems. 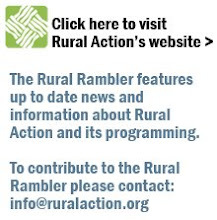 For more information, contact Amber Leasure-Earnhardt (amber@ruralaction.org). Monthly meeting of the Sunday Creek Watershed Group. The meeting will open with a potluck and end with a presentation (more information TBA). Contact Kaabe Shaw with questions (shaw@sundaycreek.org). In conjunction with Global Conversation Week, Rural Action and Kathy Jacobson will be hosting a Community Conversation in Stewart, Ohio to discuss outreach in the Federal Valley Watershed as well as many other topics. For more information, contact Tom Redfern (tomr@ruralaction.org). Hocking College will be offering what promises to be an amazing class from their Logan campus. Learn the basics of vehicular electrical systems – including traditional, hybrid, and hydrogen fuel cell vehicles. Basic electrical theory will be discussed, as well as introductions to the reading of wiring schematics and wiring repair. The cost of the class is $400, and it is worth 3 credit hours from the College. 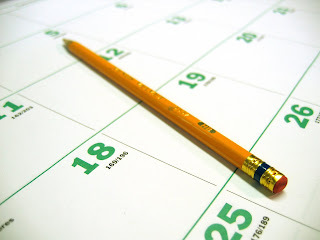 The class size will be limited to 12 people, and the registration deadline is March 30. For additional information on this class and others offered, or to register, contact the Hocking College Energy Institute (740.380.9315) or email them (mowery_a@hocking.edu). For more information email Calaina Goodyear (cgoodyear@ruralaction.org). Sunday Creek will help to celebrate the opening of the Trimble Land Lab in the Trimble Community Forest. More information on the festivities TBA – contact Kaabe Shaw with any questions (shaw@sundaycreek.org). Huff Run will be holding their monthly meeting from 5:30 PM – 6:30 PM. Following the meeting, the Tuscarawas Soil & Water Conservation District will be giving a presentation on the benefits of “rain gardens” – planted depressions that capture stormwater and help prevent run-off. For more information, contact Maureen Wise (maureen@ruralaction.org). The Huff Run Watershed Restoration Project is partnering with the Sandy Township Trustees to help clean up litter in the area – especially in roads around the area. For more information, contact Maureen Wise (maureen@ruralaction.org). Rural Action workshop being held through funding from Ohio Environmental Education Fund (OEEF). For more information, contact Tom Redfern (tomr@ruralaction.org). Rural Action is helping to sponsor this conference on native plants which is being facilitated by OSU Extension. At the conference, speakers and workshops will explore benefits that the growing of native species offer to farmers. For more information, contact OSU Extensions in Meigs county (740.992.6696) or email them (kneen.1@cfaes.osu.edu). This year’s conference will feature keynote and plenary session speakers; papers and panel presentations; reports on academic research and community practice; workshops; roundtable discussions; presentations of art, craft, and film; along with exhibits and displays – all highlighting Appalachian Ohio. This April, the Central Appalachian Network (CAN) is hosting a gathering of food producers, associations, networks coordinators, intermediaries, and agencies to focus on sustainable agriculture practices that accelerate the development of local and healthy food systems. This will be a hands-on, best-practice sharing event with lots of discussion and roundtables. The goal is to build on the work of those who attend, provide an opportunity to share what others know, and begin looking for ways to strengthen collaborations. You can contact CAN’s coordinator at MACED (swatling@maced.org) for more information on the conference.